Waterfowlers in the western two-thirds of the U.S. sat up and took notice thanks to the good news brought about by the August 15 release of the 2017 Trends in Duck Breeding Populations survey. While the report of 47.3 million breeding ducks this year in the fabled "Duck Factory" of the northern U.S. and Southern Canada breeding grounds is certainly good news, that's true primarily for hunters in North America's Mississippi, Central and Pacific Flyways. But what should duck hunting enthusiasts on the Eastern Seaboard expect in the Atlantic Flyway this fall? According to Delta Waterfowl (www.deltawaterfowl.org), results for the continent's Eastern Survey Area are a bit more mixed than they are out west. On the positive side of things, the Eastern mallard index is up 7 percent this summer versus a year ago with 445,000 greenheads in 2017 as compared to 413,000 in 2016. That 2017 greenhead figure is also some 11 percent above the mallard's long-term average (LTA) for the Eastern Survey Area. Green-winged teal, another important species in the Atlantic Flyway, rose some 8 percent this summer with a 2017 tally of 239,000 birds as compared to the 2016 mark of 222,000 ducks. 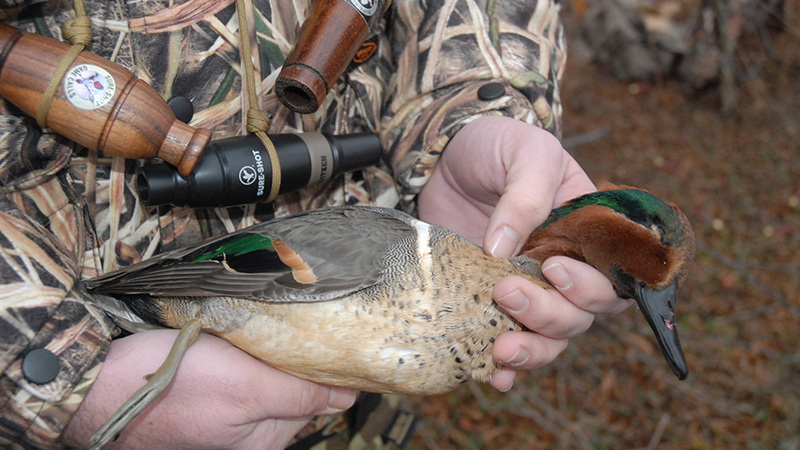 This year's greenwing breeding figure is down six-percent from the specie's LTA number however. Goldeneyes, which thrill hunters in the late season each year as winter weather drives the beautiful diving duck species south, checked in at 401,000 in 2017 as compared to 364,000 in 2016. This year's goldeneye figure is up 10 percent from last summer and 7 percent below the specie's LTA figure. And mergansers, including the beautiful hooded merganser, are sitting at 513,000 this year in the Eastern Survey Area, a number that is up 15 percent over last year's 2016 figure of 447,000 and some 15 percent over the LTA. But there's also plenty of troubling news back east too. That is noted from a glance at this year's Eastern Survey Area report which shows that the region's black duck breeding population has dipped from 606,000 birds in 2016 to 541,000 ducks in 2017. That's an 11 percent drop from last summer and a 12 percent reduction below the specie's LTA number. Ring-necked ducks also declined this summer by 19 percent to 463,000 birds, a tally that is down from the 2016 mark of 572,000 ducks and 11 percent below the ringer's LTA number. Why this mixed bag report for the Eastern Survey Area this year? Biologists are scratching their heads a little bit and don't appear to be entirely sure. "Water conditions were great in the Eastern Survey Area,” said Delta Waterfowl president Dr. Frank Rohwer in a news release from the organization. As with hunters in the other three flyways however, success this fall for hunters tossing decoys out along and near the Eastern Seaboard will depend on the usual local variations in food, habitat and weather. Meaning that there will still be plenty of reason for duck hunters to get out this fall and be optimistic in the Atlantic Flyway, mixed survey report or not.